Worry’s for Another Day When You Win These Fraggle Rock Prizes! HomeWorry’s for Another Day When You Win These Fraggle Rock Prizes! Prepare for a blast to your past when you get a hold of these stunning new plush toys from the classic children’s show from the ‘80s, Fraggle Rock—now filling Koalakrane skill testers near you! Jim Henson’s The Muppet Show has defined our childhood in many ways, and Fraggle Rock is truly one of those shows that kept our imaginations running! If you remember the Fraggles, the carefree, music-loving creatures that live together in harmony, you will adore our premium collection of Fraggle Rock plushies! And who’s to say your kids won’t love them as well? Get a chance to grab any of these amazing Fraggle Rock characters: Red, Wembley, Mokey, Gobo, Boober, and the giant specie known as the Gorg! Available in three different sizes, these officially licensed soft dolls are made with soft polyester fabric and faux fur, giving them that delightfully luxurious feel and irresistible cuddliness! Even kids from ages 3 and above can enjoy these all-time favourite characters! What are you waiting for? These Fraggles aren’t just going to get themselves out! 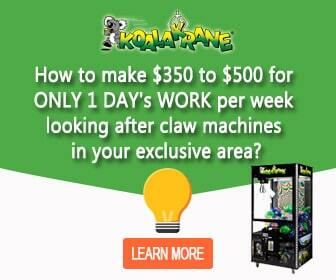 Head on to a Koalakrane claw machine and start winning!